Mushrooms and peas sauteed with mild herbs and spices, cooked in a creamy sauce. Crispy potato-and-pea-stuffed pastries seasoned with mild spices and fried. Spicy mashed potato balls dipped in a lentil and cilantro batter- the Manager's favorite! Potatoes cooked in a spicy tangy curry sauce with fresh lemon and ginger. Tandoori chicken or tofu sauteed with chopped veggies. 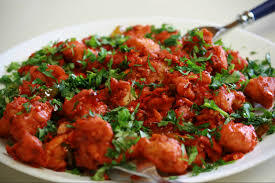 Marinated chicken in a spicy chili sauce pan-fried with onions and peppers. Boneless chicken marinated in a spicy tangy mango sauce. Served grilled with raita. 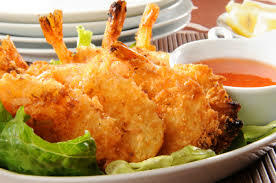 Shrimp marinated in a fresh coconut and ginger sauce, sprinkled with shredded coconut and served with mango chutney. Wafer-thin disks of seasoned wheat flour roasted in a tandoori oven. 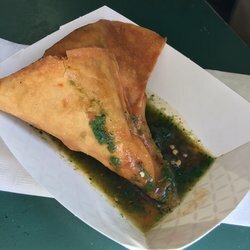 Chicken tikka, seekh kabob, samosa, onion bhaji and vegetable pakoras. Vegetable pakoras, onion bhaji and vegetable samosa. Crispy green beans dipped in a curried tempura batter. Served with a chipotle raita. Garden vegetables cooked in an onion-garlic sauce. Fresh spinach cooked in a creamy onion sauce. Creamy saffron sauce cooked with garden veggies. Lentils cooked in a delicately-spiced sauce. Garbanzo beans cooked in an onion, tomato and garlic sauce. Tofu and garden peas cooked in a spicy curry sauce. Chopped garden veggies cooked in a unique and authentic curry sauce. 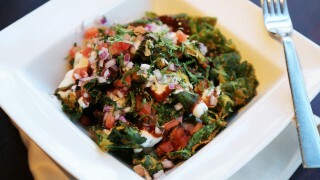 Small pieces of potato tossed with chopped onions, tomato, cilantro and cumin. Seasoned with a mild curry sauce. Great with raita. Homemade paneer cheese tossed with garden peas and then cooked with a curry of mild spices. Fresh spinach cooked with baby new potatoes in a spicy sauce. Chef's specialty. Vegetarian meatballs simmered in a southern curry sauce consisting of cinnamon, nutmeg, mild spices and malai cream. Chunks of cauliflower and baby new potatoes cooked in an onion gravy. Sliced mushrooms and peas slightly sauteed and cooked in a creamy curry sauce. Potatoes, bell peppers, cauliflower, peas, carrots and zucchini in a sweet and spicy curry. A traditional Gujarati dish. Peas and potatoes cooked in a spicy masala sauce with onions and tomatoes. 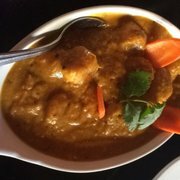 Bananas marinated in spices and cooked in a sweet and spicy coconut curry sauce. 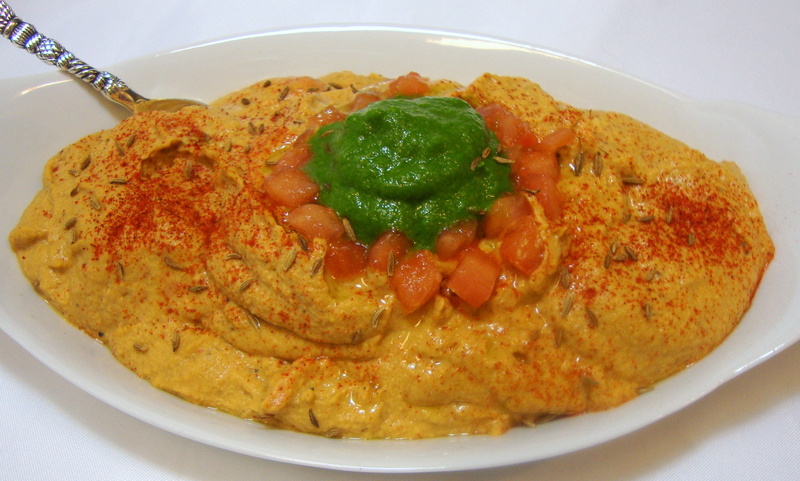 Roasted eggplant pureed and cooked with fresh spices and peas. 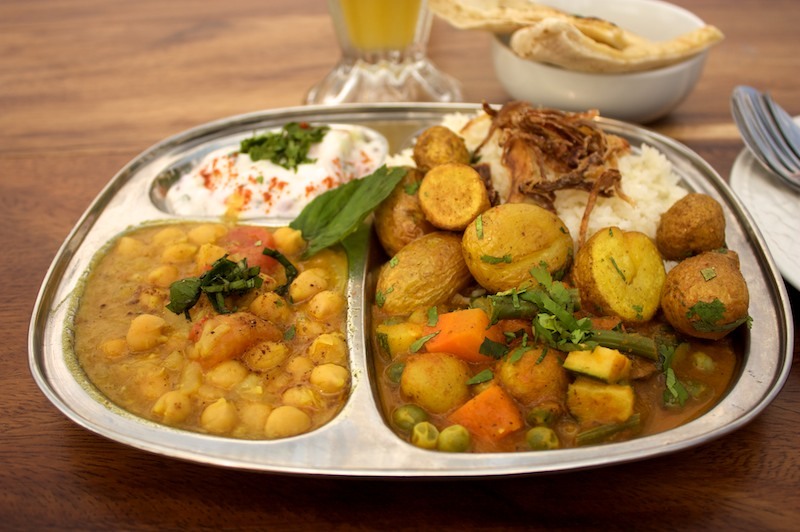 Served with choice of meat or vegetarian options and basmati rice. 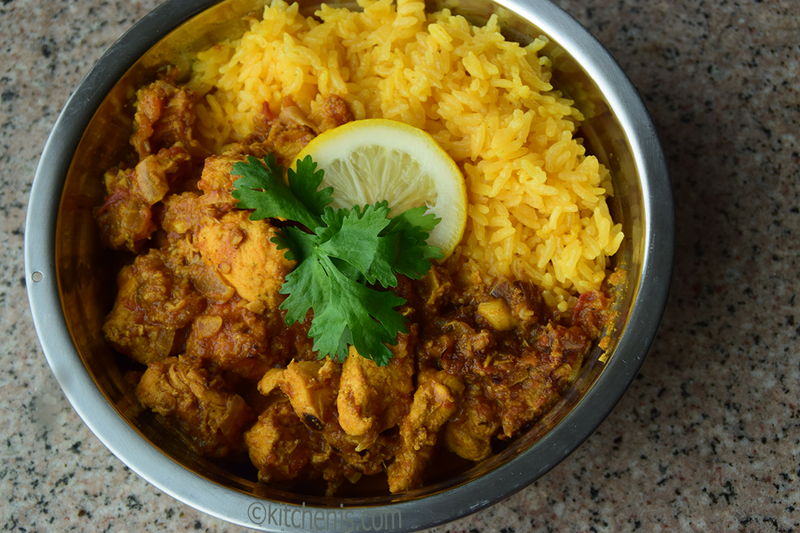 A Southern Indian curry sauce with mild spices, garlic, onion and cherry tomatoes all cooked in a Karahi wok. Sauteed mushrooms with fresh ginger, green chilies, bell pepper and lemon juice. Chunks of bell pepper, peas, carrots, cauliflower and potatoes cooked in a sweet and spicy sauce. Chicken or veggies sauteed with fresh ginger, bell peppers and lemon juice in a light cream sauce. Minced lamb with finely chopped onions and tomatoes. Cubed lamb cooked in a mildly-spiced yogurt and mint sauce. Mahi cooked in a spiced-ginger curry. A rich and fragrant sauce. Lightly-spiced lamb curry mixed with dark lentils. Cubes of chicken cooked in a sweet-and-spicy sauce with chunks of mango. Globally famous. 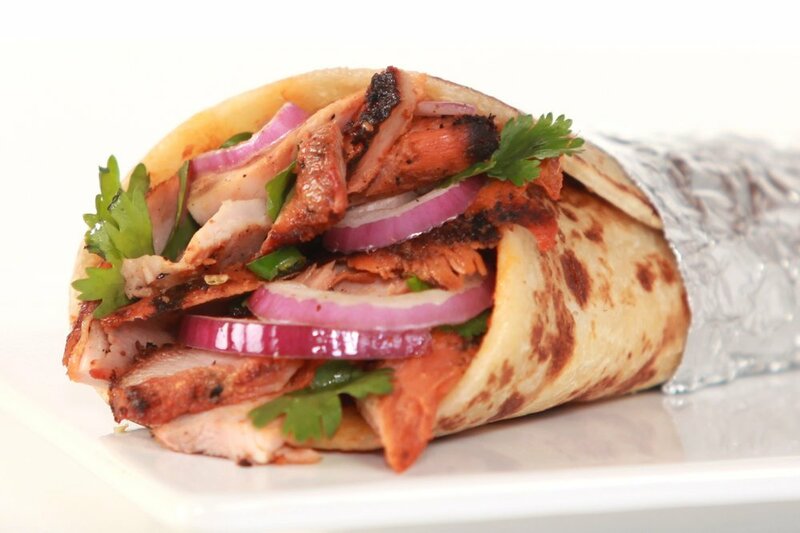 The original tandoori chicken marinated in roasted garlic, yogurt, ginger and spices for several hours and cooked in a clay oven. 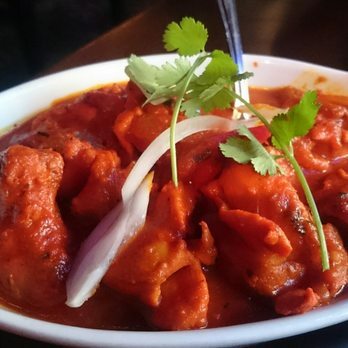 Chicken breast pieces in a special marinade cooked on an open flame in our tandoor oven. Minced lamb skewers with onion, bell peppers, mild green chilies and fresh herbs and spices. Tandoori chicken, seekh kebab, chicken tikka and mahi-mahi. A traditional rice dish served in India cooked with almonds, raisins, onions, cilantro, garlic, ginger, rose water and served with raita. A selection of flavorful rice side dishes. Rice cooked with the most valued and expensive spice of the world. Rice with green peas and clove masala. Rice tempered with cumin seeds. 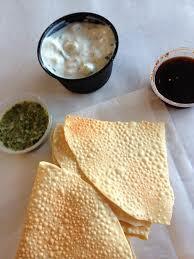 A gourmet preparation of rice, lentils and veggies cooked to a soft and smooth texture, served with papadums. A unique rice dish prepared with the purest spices and Moong Dal. Imported basmati rice seasoned with coconut oil, coconut milk, and fresh grated coconut. An explosion of flavor and aroma in a soup made with curried lentils and vegetables. A connoisseur's delight! Thick pancake topped with mild spices and choice of: mozzarella cheese, tomato, carrot, onion, chili, paneer. A thin rice and lentil crepe served with tomato and coconut sauce and choice of: cheese and potato,, sauteed spiced onion, chole, chicken, spring veggie mix. A large crepe stuffed with a potato batter bursting with flavor. Crepe made with rice flour and semolina stuffed with potatoes, with a distinct South Indian flavor. Crepe, mysore spicy chutney stuffed with potatoes and herbs. Ghee (clarified butter) used to prepare the dosa. Our breads are freshly baked to order. Leavened bread, a must with curries and soups. Topped with fresh garlic and cilantro. Naan topped with roasted sesame seeds. Naan topped with poppy seeds. 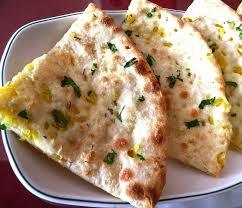 Plain, garlic, sesame, and onion naan. 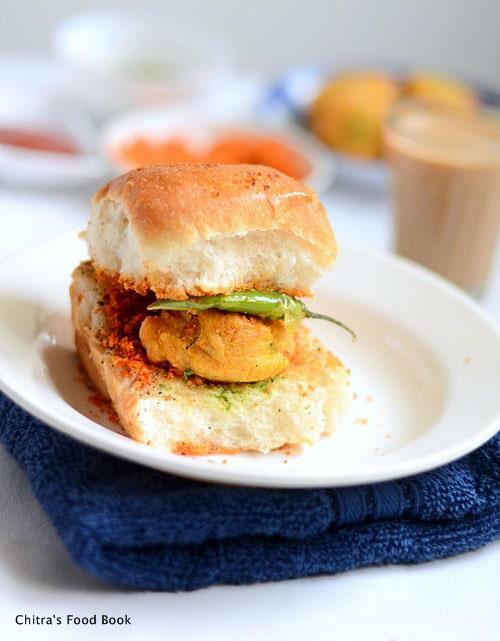 Served with mint chutney. Stuffed with spiced onion and cilantro. Stuffed with fresh spinach and cilantro. Stuffed with a mixture of cherries, coconut and raisins. Hot! Hot! Hot! Stuffed with jalapeno and cilantro. Stuffed with Parmesan cheese and topped with basil. Stuffed with spiced lamb or chicken. Stuffed with raisins and topped with cinnamon. Stuffed with sun-dried tomatoes and topped with basil. Twisted whole wheat dough flattened. Stuffed with spicy mashed potatoes. Two circular flat breads cooked on a skillet. Whole wheat clay oven bread. Plain yogurt mixed with cucumber, dried mint and spices. Spicy cilantro and mint combined with yogurt and lemon juice. A perfect assortment of flavors for your starters and Indian breads. Choice of three chutneys.